With its own castle, meadows and swan-lake, a trip to the five-star Castlemartyr resort in Cork is just the thing to recharge the batteries and soothe the soul. It's like stepping into a different world: a world where there's croquet on the lawn, traditional afternoon tea and extensive grounds to meander and explore - perhaps in the company of the hotel's resident Irish setters, Earl and Countess. Welcoming and luxurious in equal measures, there's the sense that you're staying in a very, very grand family home, perhaps as the guest of some noble family or other, as opposed to a hotel. The hotel itself is an 18th century manor house, which shares the grounds with the ruins of an 800 year old castle, built by the Knights Templar. There are 11 rooms in the original house, and a further 92 in the contemporary wing which adjoins it. We were in the new wing, and I felt some initial disappointment - until I opened the door to our room. With a separate living room, bedroom and dressing room, and a spacious marble bathroom complete with double sinks, you could have fitted our extended families and with room to spare. 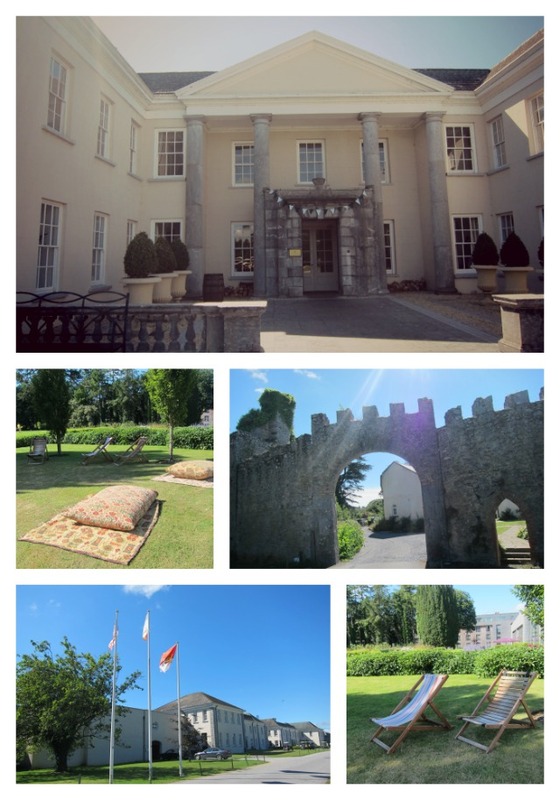 And if we had, I don't think they'd have batted an eye - lots of five star hotels aren't especially family friendly, but Castlemartyr is a definite exception. There were lots of children at the hotel while we were there - and we understood why when we checked the excellent family packages on the website - but everything is so well organised that they didn't take away from our sense of peaceful tranquility. Dedicated family hours at the pool helps - and it helped us to avoid them. We managed to eat pretty much everywhere we could: the impressive Bell Tower restaurant, informal Italian, Franchini's, and casual Knight's Bar. 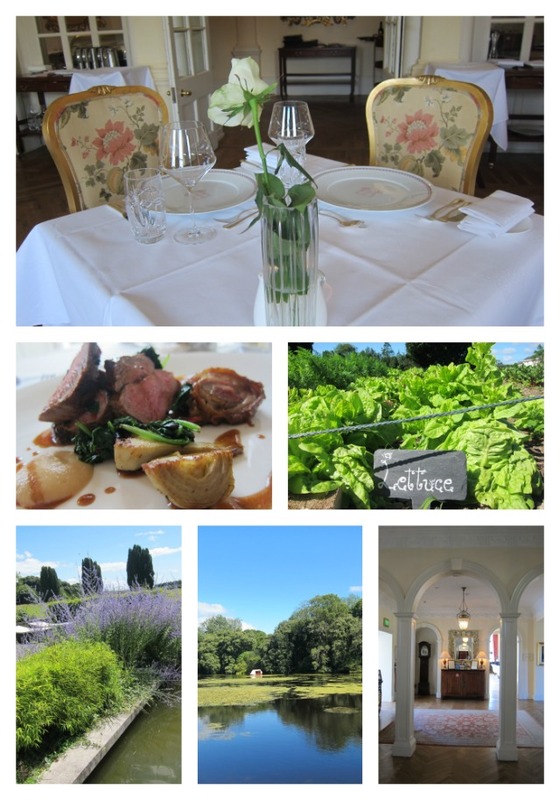 The food was delicious throughout - the view of the grounds from the Bell Tower is super romantic and the menu first class, filled with local and seasonal produce, while Franchini's offers pizza and pasta and is a family oriented spot. The spa, however, is a kids free zone and I spent several blissful hours there, enjoying a 60 minute full body massage and hanging out in the hidden vitality pool, private sauna and steam room - all separate to the hotel's main thermal suite. The spa feels soothing, contemporary and - at least on my visit - was drenched with sunlight, as well as offering spectacular views out over the formal gardens. By god I miss it. Have you been? Are you going? Will you take me with you? One nights B&B at Castlemartyr can be yours from €150; Fluff and Fripperies was a guest of the hotel. Check out the website for more. Looks amazing (great photos! ), I'd love to go there! Now I feel pretty sad, i really miss Ireland. Especially Cork! This looks such an amazing place, think I would love it!! great review, heard good things but wow the pics are gorge!! Delighted you posted this, I have been looking at places in Ireland for a weekend away for a certain big birthday coming up! 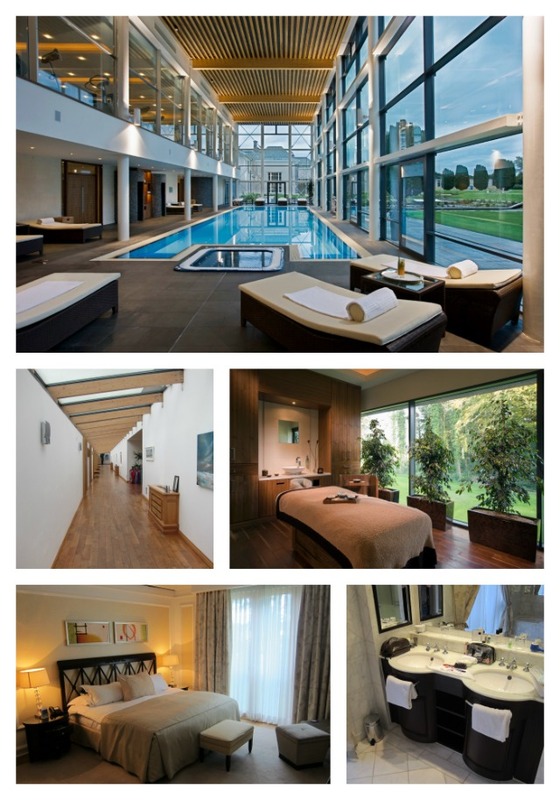 Planning a little girlie spa trip with my girls, will definitely check out Castlemartyr Resort, looks fab! It is so gorgeous Emma! Love it! If only I could be magically transported there now! Everything there looks spectacular! wow that is a beautiful hotel! It's so picturesque! Looks amazing! I haven't been to Cork in years, I really should go down on a weekend break some time. Glad you both had a lovely time! I'm not jealous...really, ok I am ...seriously jealous. Looks class! Looks like a area to visit, so beautifully laid out and the garden is amazing! You made me dream Emma!! I hope you are well and wish you a great sparkling day!